There’s something about art. Cavemen drew on walls. People keep programming drawing robots. One we’ve seen recently is [Andy’s] Drawbot that uses WiFi and WebSockets to draw on just about any flat surface. What’s more, the Johnson County Library has a great write-up about how they built one and if you want a go at it, you’ll find their instructions very helpful. The video below is pretty inspirational, too. What makes this build especially interesting is that it uses a drive system with two fixed points attached with suction cups. There are a variety of 3D printed parts — some just for the build and some are older parts repurposed. We were contacted by [morbo] to let us know about a project on the AdaCore blog that concerns programming a PicoRV32 RISC-V softcore with Ada. The softcore itself runs on a Lattice ICE40LP8K-based TinyFPGA-BX FPGA board, which we have covered in the past. The blog post describes how to use the Community edition of the GNAT Ada compiler to set up the development environment, before implementing a simple example project that controls a strip of WS28212b RGB LED modules. There are two push buttons changing the animation and brightness of the lights. The source can be found at the author’s Github repository, and contains both the Ada source and the Verilog source for the PicoRV32 softcore. To build the project one needs the GNAT compiler, as well as the open-source iCE40 development tools to compile the softcore. There is a video demonstrating the finished example project, that we’ve placed below the break. [The LED Artist] often found a need for a relatively high voltage (100 to 200 Volt) but low current DC power supply, and it turns out that a small HV generator that uses a single AA cell only took about an hour to make. The device ended up being a pretty handy tool for testing things like LED filaments (which have a forward voltage of over 60 V), or even neon and nixie tubes. The device’s low current means that nixie and neon elements won’t light up very brightly, but they will light up enough to verify function and operation. [The LED Artist] reports that touching the output terminals of the generator only causes a slight tingling sensation. Open-circuit voltage generated from a single AA cell is about 200 V, but that voltage drops rapidly under any kind of load. Even regular LEDs can be safely lit with the circuit, with less than a milliamp being supplied at the two to three volts at which most regular LEDs operate. [The LED Artist] fit the device into a two-AA battery holder, with a single AA cell on one side and the circuit in the other, and says it’s one of the more useful tools they’ve ever made. LED filaments are fairly common nowadays, but if they intrigue you, don’t forget that [Mike Harrison] covered everything you need to know about experimenting with them. Hackers love 3D printers. In fact, they might love them a little too much. We hope know we aren’t be the only ones who couldn’t turn down a good deal on an overseas printer (or two). But when you’re not pumping out plastic boats and other PLA dust collectors, what are you supposed to do with them? Well if you’re like [Uri Shaked] you could hand them a pen and tell them to get writing. The holidays are coming up quick, and somebody’s gotta sign all these cards. In his detailed write-up, he shows how he was able to add a pen to his Creality CR-10 printer to turn it into a lean mean letter-writing machine without making any permanent changes to the printer. 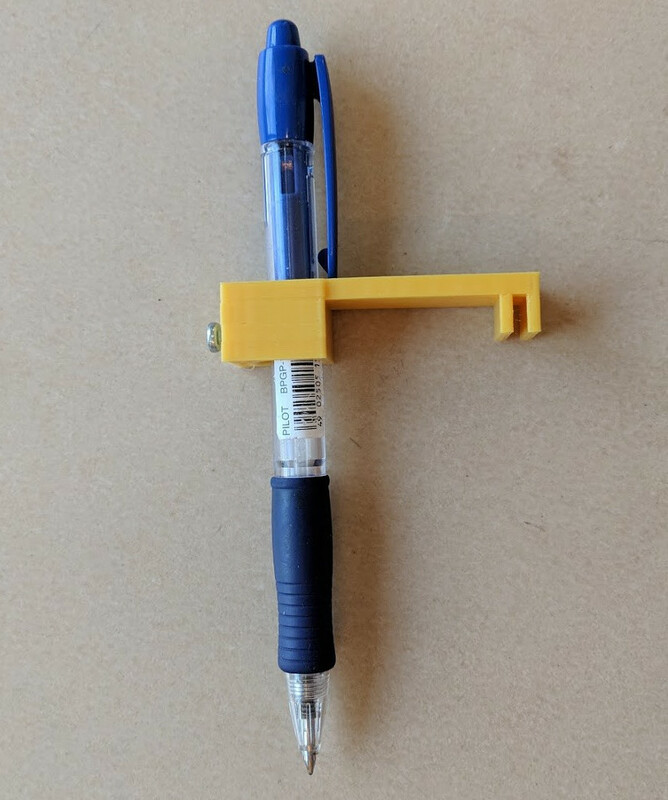 The physical aspect of this hack is about as simple as they come: just come up with some way to hold the pen a bit below the printer’s hotend. The positioning here is a bit critical, as you don’t want to crash the nozzle into the bed while writing out a missive. [Uri] got fancy and designed a little bracket that clamps onto the CR-10 and even has a M3 screw to hold the pen in place, but you could get away with zip ties if you just want to experiment a bit. [Uri] goes into much greater detail on the software side of things, which is good, as it does take a bit of Inkscape trickery to get the printer to perform the specific dance moves required. He goes through step by step (with screen shots) explaining how to set up Orientation Points and configure the tool parameters for optimal performance. Even if you aren’t looking to put a 3D printer to work autographing your 8x10s before the next hackerspace meet, this is an excellent guide on producing GCode with Inkscape which can be helpful for tasks such as making PCBs. The general process here is very similar to adding a laser module to your 3D printer, but with considerably lower risk of your eyeballs doing their best Death Star impression. The last challenge of The Hackaday Prize has just ended. Over the past few months, we’ve gotten a sneak peek at over a thousand amazing projects, from Open Hardware to Human Computer Interfaces. This is a contest, though, and to decide the winner, we’re tapping some of the greats in the hardware world to judge these astonishing projects. Below are just a preview of the judges in this year’s Hackaday Prize. In the next few weeks, we’ll be sending the judging sheets out to them, tallying the results, and in just under a month we’ll be announcing the winners of the Hackaday Prize at the Hackaday Superconference in Pasadena. This is not an event to be missed — not only are we going to hear some fantastic technical talks from the hardware greats, but we’re also going to see who will walk away with the Grand Prize of $50,000. Kipp Bradford is a biomedical engineer and Research Scientist at the MIT Media Lab. His work focuses on reinventing cool. He is a leader in the maker movement and has founded a variety of start-ups. He was a presenter at the Hackaday Superconference last year where he talked about the importance of building boring projects. It’s a great talk about Devices for Controlling Climates, or quite simply, an HVAC system. This isn’t a flashy project by any means — refrigeration has been around for a hundred years, and air conditioning has been common for fifty. Still, there’s a lot to learn about building infrastructure, and given the ubitquity of climate control systems, small efficiency gains can add up to a huge impact. Madison Maxey is a internationally renowned technologist and multidisciplinary creative. Maxey has pioneered work in bringing flexible, robust circuitry to scale as Founder of LOOMIA, a technology that implants coats and jackets with soft, flexible circuitry that can heat, light, sense and track data. If you’re looking for wearable technology that isn’t made of copper and Kapton, look no further. LOOMIA has been featured by Business Insider, Forbes, and Huffington Post. This little bit of hardware can serve as a heater, keeping you warm, or as lighting to illuminate the headliner of a car or keep you visible at night. Maddy is a member of Forbes 30 under 30, a Thiel Fellow, and a Lord and Taylor Rose Award recipient. Mark Rober is a former NASA engineer, an inventor, and current YouTuber with nearly three million subscribers, all of them interested in science and engineering. He’s been featured on Hackaday numerous times for engineering the perfect throw for skipping a rock across a lake, filling a hot tub with sand, then swimming in it, building a dart board that always catches your dart for the perfect bullseye, and building the world’s largest Super Soaker (yes, it’s the classic, original Super Soaker). His work has been featured in dozens of publications around the Internet. Mark is full of awesome ideas and through his YouTube channel is able to explain science and engineering clearly to millions of people around the globe. 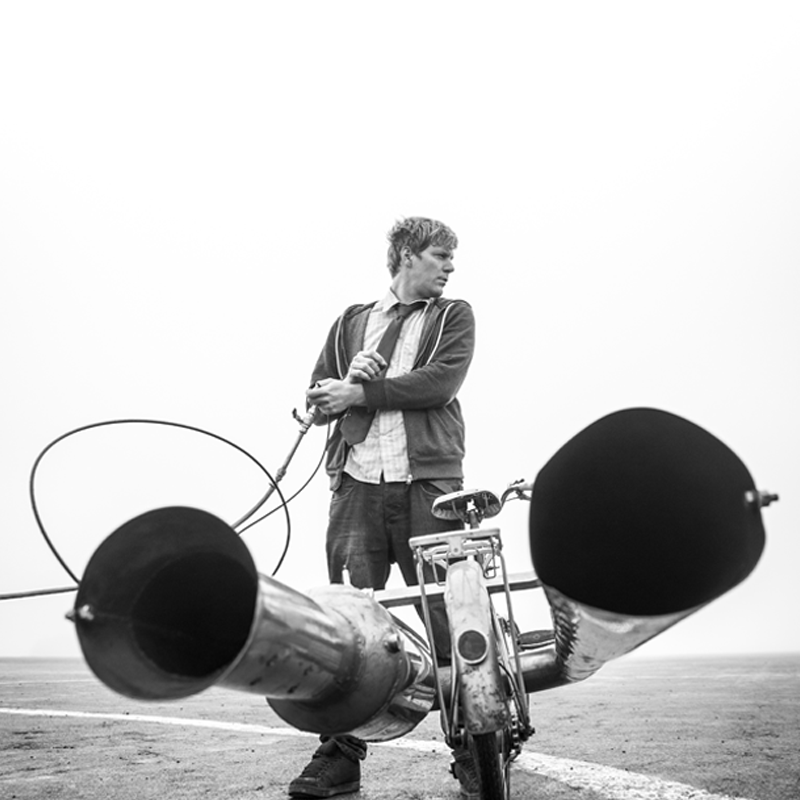 Colin Furze is a mad Englishman in a shed who was formerly a plumber and now creates amazing inventions and incredible vehicles. His YouTube channel has over five million subscribers and his videos have been viewed over six hundred million times. He’s built a real hoverbike which must someday be taken to the forest moon of Endor, the world’s fastest bumper car that is also remarkably unsafe to actually use as a bumper car, and a knife that toasts bread as you slice it. But of course his most impressive achievement is gigantic pulse jet that was heard across the English Channel. And all of this without scorching his safety tie. These are just four of the amazingly accomplished judges we have lined up to determine the winner of this year’s Hackaday Prize. The winner will be announced on November 3rd at the Hackaday Superconference. There are still tickets available, and you really want to be there if you can make it. Still, we’re going to be live streaming everything, including the prize ceremony, where one team will walk away with the grand prize of $50,000. It’s not an event to miss. Many of us have experienced the pain that is a Raspberry Pi with a corrupted SD card. I suspect the erase-on-write nature of flash memory is responsible for much of the problem. Regardless of the cause, one solution is to use PXE booting with the Raspberry Pi 3. That’s a fancy way to say we’ll be booting the Raspberry Pi over the network, instead of from an SD card. What does this have to do with Hacking My House? As I discussed last time, I’m using Raspberry Pi as Infrastructure by building them into the walls of every room in my house. You don’t want to drag out a ladder and screwdriver to swap out a misbehaving SD card, so booting over the network is a really good solution. I know I promised we’d discuss cabling and cameras. Think of this as a parenthetical article — we’ll talk about Ethernet and ZoneMinder next time. So let’s dive in and see what the Preboot Execution Environment (PXE) is all about and how to use PXE with Raspberry Pi. Everything Supercon: This. Is. Big. Come one, come all, this is the megapost about the Hackaday Superconference. Join us in Pasadena on November 2-4 for the hardware conference you cannot miss. Get your ticket quickly as they will sell out! bobricius has updated the log for LedCade - µ arcade game cabinet. George Zimbru liked Self-adjusting clock with e-display. compunited liked Alternative firmware for MKS TFT32. Bruce W. Kyle liked 2.5D stepper motor on PCB - micro manipulator. bobricius has updated the project titled LedCade - µ arcade game cabinet. Michael liked Big 7 segment display. Ken Nickerson liked PCB Robot. bobricius has added a new log for LedCade - micro arcade game cabinet 8x8 LED.